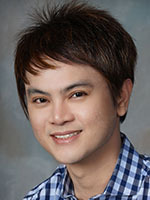 Dr. Alcaraz earned his Doctor of Medicine & Surgery and graduated with honors at the University of Santo Tomas (Manila). He completed his Family Medicine residency training at JFK Medical Center in New Jersey and is Board Certified. He initially worked as a primary care physician in Rhode Island where he also served as Faculty in the Brown University Medical School. He started practicing Urgent Care soon afterwards, most recently at Mount Sinai in New York City where he also served as an Assistant Professor in the Icahn School of Medicine.